Urban Village is a champion for the live-work-play revolution…..
Urban Village is a champion for the live-work-play revolution developing mixed-use projects that promote shared and symbiotic space. Shared space reduces land intensity by developing amenities that serve multiple users. Symbiotic space is an innovative approach connecting reciprocally supporting users in an efficient manner. Urban Village does not look to change the neighborhood essence but rather enhance communities by improving underutilized areas that can be reconfigured to support a healthy environment. A healthy environment, as defined by Urban Village, is within walking distance to live, work and play amenities reducing sedentary behaviors and automobile dependency. Ultimately Urban Village seeks to create environments that are experiential, improve living conditions and add to the urban fabric of a community. 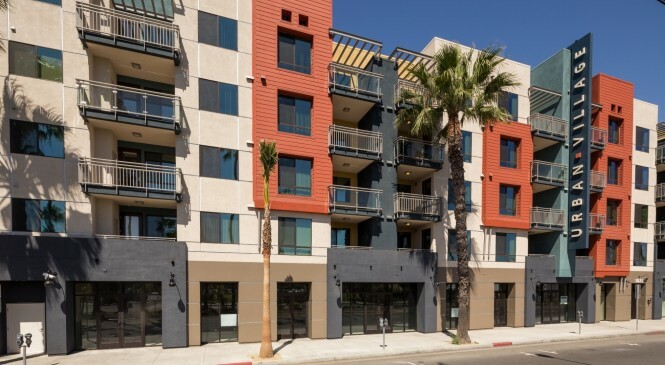 Past projects have included the development of multifamily, single-family, office, retail and hospitality components throughout Southern California. Urban Village creates value through research driven innovation, visioning and development. Research driven innovation is baked into our DNA in search of creating projects that anticipate the changing needs of our communities. We consider visioning an obligation which includes assembling the top development team, community outreach and creativity. Lastly, we have a responsibility to develop financially successful projects allowing for sustainable value creation. Urban Village was founded by Joshua P. Host and Brett M. Shaves with a development partner structure that has attracted top talent in the development community. Our multidisciplinary organizational structure utilizes performance based work methodologies to drive operational excellence while maintaining company values. Urban Village core competencies include market research, project design, land entitlements, value engineering and development. Urban Village is a private company with no fund mandates providing freedom to creatively work with sellers to maximize value and benefits. We protect brokers and will pay a buyer’s broker fee for off market deals. Property Type: All property types are considered.